I developed these hamburger buns specifically for my recipe for pulled pork BBQ sandwiches. Here in East Tennessee BBQ sandwiches, we usually use hamburger buns for the bread. I wanted to kick up the flavor and make a bun more substantial than the things sold in the supermarket. 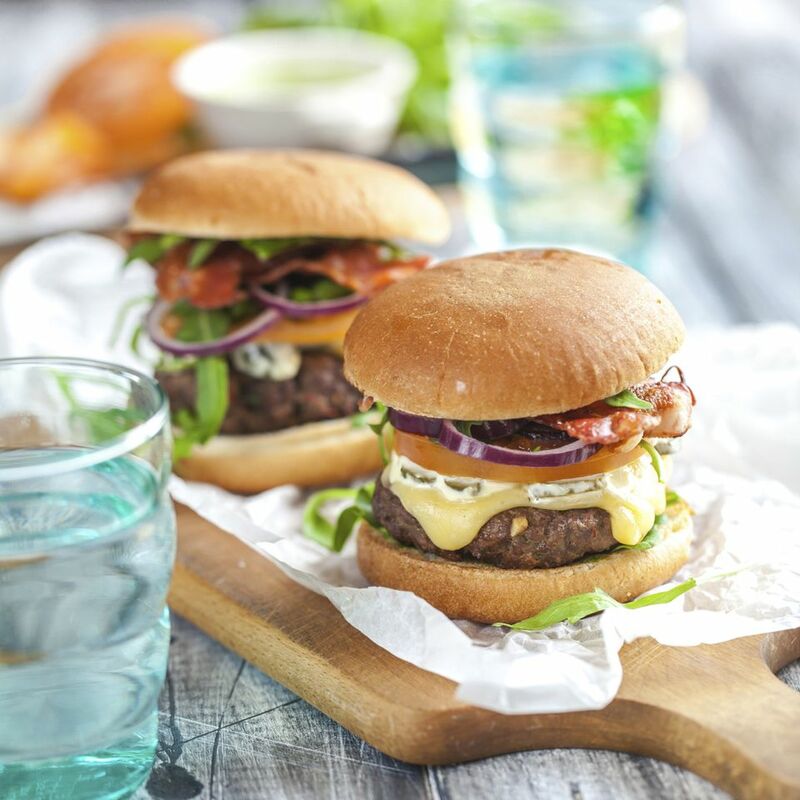 These buns are versatile; use them for sandwiches, burgers and just about anything grilled on your BBQ. Heat the milk, bacon fat and water in a small saucepan until about 120 Farenheight, a slight simmer with small bubbles rising to the surface. Mix the whole wheat flour, 3 cups all-purpose flour, yeast, and sugar in the bowl of a stand mixer using the paddle attachment at low speed. Mix in milk mixture, followed by the egg. Switch to the dough hooks and knead at medium speed for 8 minutes. If the dough is too sticky, add more flour a tablespoon at a time. Shape dough into a roll and allow to rest for about 10 minutes. Divide dough into 10 equal pieces. Form each piece into a round about 4"-inches in diameter and place on a parchment lined baking sheet (you'll need two sheets). Spritz buns with a light coating of oil. If you have canned spray oil, watch out for scary ingredients. Instead use your own oil mister spray bottle (or brush with light olive oil or melted butter) and cover with plastic wrap and allow to rise until slightly more than doubled in bulk. While the buns are rising, heat the oven to 400 F and position a rack in the middle of the oven. Bake for 8 minutes, then rotate baking sheet 180 F. Bake another 2 to 4 minutes until golden brown, timing will differ depending on individual ovens. Note: These buns will keep wrapped in tin foil for up to 4-5 days. Do not store in the refrigerator as they will dry out quickly. However, you can roll in a freezer bag getting rid of as much air as possible and keep in your freezer for up to three months.